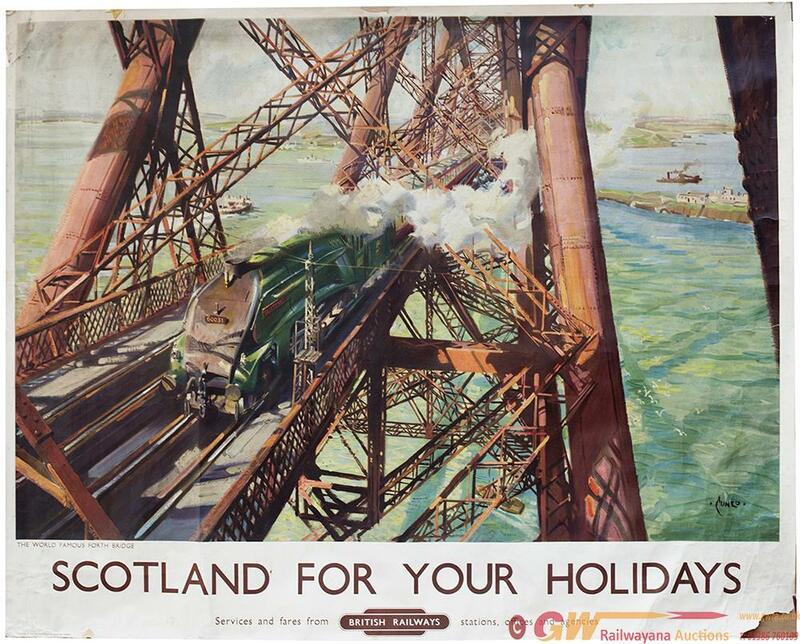 Poster BR SCOTLAND FOR YOUR HOLIDAYS THE WORLD FAMOUS FORTH BRIDGE by Terence Cuneo. Quad Royal 40in x 50in. In good condition with frayed edges and a few repaired tears.